As a tulle bridal veil cascades over the face of the bride, she softly stares into the distance during a bridal photo session. This bride was so fun to work with! As a photographer I am always looking for new photos to take and something different than just the normal bridal portraits. The bride, Molly, had just gotten dressed and ready and I was about to start taking her bridal portraits. Even though I oed the room she was getting ready in, it had a lot of busy designs and bright colors all over the place and just was really busy for pictures. With that being said, I wanted to do something where we just focused on her and not the business of the room, so I got her to face the window and I was standing to her side. The natural light just lit her up and gave her a soft natural glow and completely darkened the background. 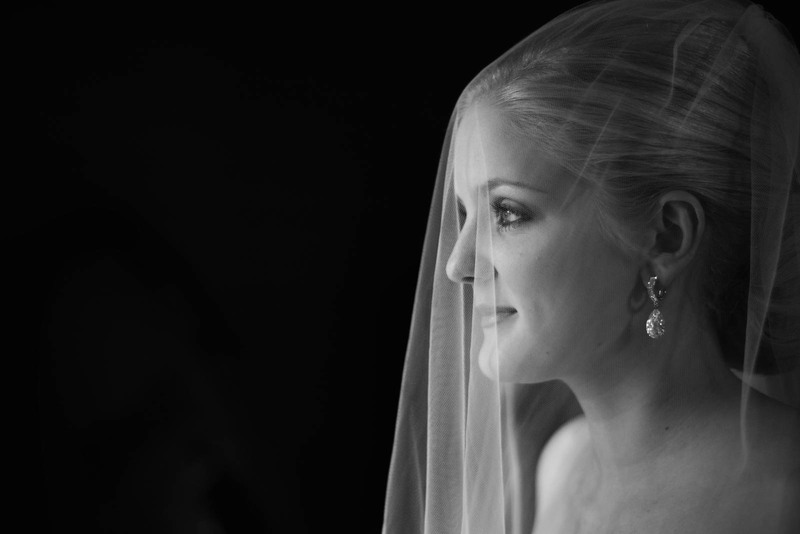 This really made her stand out amongst the rest of the room and It really gave her an elegance in this bridal portrait.